Epidemiology. At birth, the upper respiratory tract is colonized with multiple organisms and the normal bacterial flora is established. It consists primarily of Gram-positive aerobic organisms and anaerobic organisms. Infectious pharyngitis represents a change in this normal flora. Streptococcus. Streptococcus species are Gram-positive cocci bacteria arranged most commonly in chains. They are ubiquitous inhabitants of the oral and nasal cavities. Members of this bacterial family are classified as either a-hemolytic or ß-hemolytic, based on characterizations observed when grown on blood agar cultures. ß-hemolytic streptococci are further classified based on carbohydrates found on their cell membranes. These are called Lancefield groups and consist of groups A though G.
FIGURE 2 (A) Tonsillar hypertrophy grade-I tonsils. (B) Grade-II tonsils. (C) Grade-III tonsils. (D) Grade-IV tonsils ("kissing tonsils"). enzymes such as streptolysin O, streptolysin S, DNAase, hyaluronidase, and exotoxins A, B, and C.
Concern exists about the overuse of antibacterials in treating symptoms of infectious pharyngitis. Several scoring systems have been developed to limit the use of antibiotics to those patients with high probability of GABHS pharyngitis or other bacterial causes. Systems developed by Walsh (GABHS exposure, cervical nodes, pharyngeal exudates, temperature >101°F, and cough) and Centor (fever, cervical nodes, pharyngeal exudate, and absence of cough) have been employed to restrict antibiotic use to persons with bacterial etiologies and not viral causes. Unfortunately, long-term study of these systems has not strongly supported their clinical use. FIGURE 3 Acute pharyngitis and tonsillitis with an exudate covering the tonsils bilaterally. on throat swabs. The sensitivity of this test is only 80% to 90%, but it is highly specific. Most cultures grown from patients with negative rapid strep tests will remain negative. Despite this information, most primary-care physicians advocate culture when rapid screens are negative. Newer optical immunoassays have been developed but their clinical superiority over previous enzyme immunoassays remains debatable. Asymptomatic carriers of GABHS with viral pharyngitis will test positive no matter what method is used, limiting any test's clinical usefulness. Oral penicillin, or I.M. penicillin for noncompliant patients, is advocated by some as first-line treatment of GABHS pharyngitis (5). Antibiotic resistance is common in the bacteria found in the oropharynx, although extremely rare in GABHS. Most otolaryngol-ogists use the broader-spectrum amoxicillin or amoxicillin/clavulanic acid as their first-line antibiotic of choice despite this knowledge (6). Second-line antibiotics include erythromycin, clindamycin, cephalexin, azithromycin, and clarithromycin. Cephalosporin may be slightly more effective at eliminating pharyngeal carrier states. Tonsillectomy is recommended for recurrent tonsillitis, and several surgical criteria have been suggested to limit unnecessary morbidity. The Paradise criteria advocate tonsillectomy following seven infections in one year, five infections/year for two years, or three infections/year for three years, and it is the most clinically recognized standard of care. Treatment is directed at avoiding the long-term sequelae of GABHS in conjunction with alleviating acute localized symptoms. Peritonsillar abscess, scarlet fever, poststrepto-coccal glomerulonephritis, and acute rheumatic fever (carditis, polyarthritis, subcutaneous nodules, erythema marginatum, and chorea) are the most significant complications of GABHS. These conditions arise when antibodies directed against GABHS surface antigens cross-react with host tissues, resulting in localized tissue damage. Steroids and immunomodulators may be helpful in suppressing these conditions, but treatment is often supportive, because no curative measure exists. The routine use of antibacterials in acute pharyngitis is thought to have greatly decreased the incidence of these GABHS-related complications. Other Streptococcus Species. Streptococcus pneumoniae as well as Streptococci group C and G are other common pathogens in the pharynx. Streptococci groups B, D, E, and F are less common but maintain a minor role in the etiology of bacterial pharyngitis. Symptoms of pharyngitis resulting from these organisms are similar to GABHS. Treatment strategies parallel those identified for GABHS. Acute poststreptococcal glomerulonephritis may arise in these patients similar to those with GABHS pharyngitis, but rheumatic fever has not been documented. Arcanobacterium haemolyticum. A. haemolyticum causes approximately 1% to 5% of all cases of bacterial pharyngitis. It is an anaerobic Gram-positive rod transmitted by direct contact or respiratory droplets and is most commonly isolated from young adults. Pathogenesis of this organism results from the secretion of exotoxins such as phospholipase D and hemolysin. Signs and symptoms are similar to other infectious etiologies, with two unique features: A patchy, whitish-gray exudate is present on the pharyngeal mucosa and an erythematous, maculopapular skin rash similar to that of scarlet fever may be present. The rash usually begins on the extremities and spreads to the trunk sparing the face, palms, and soles. It typically lasts at least 48 hours and resolves spontaneously. Diagnosis is made by throat swab and culture. A negative rapid strep test in a young adult with a skin rash should raise suspicion. Resistance to antibiotics is increasing for this organism and current recommendations for first-line therapy include erythromycin, amoxicillin, and amoxicillin/clavulanic acid in place of penicillin. Second-line options include clindamycin, vancomycin, cephalexin, and gentamicin. Corynebacterium diphtheriae. C. diphtheriae is a Gram-positive bacillus and is the infectious etiology of diphtheria. Three strains of C. diphtheriae exist: gravis, intermedius, and mitis, listed in order of decreasing severity. The incidence of diphtheria has been greatly reduced by widespread vaccination programs, and it is seldom encountered clinically in modern medicine. Its pathogenicity has two distinct phenomena. Initially, colonization and proliferation of the bacterium in the oropharynx causes local tissue invasion. Subsequently, an exotoxin is released, which inhibits elongation factor-2 proteins in surrounding host cells, resulting in cell death. It is transmitted by direct mucosal contact or aerosolized particles. Symptoms of diphtheria include fever, lethargy, dysphagia, and odynophagia. The classic physical exam finding is a grayish exudate, or pseudomembrane, extending from the oropharynx to the larynx. When the exudate is removed, a bleeding submucosa is revealed. Cervical adenopathy is usually present and may cause a "bull neck" presentation. Airway obstruction may occur in severe cases. Diagnosis is made by throat swabs and culture. Coinfection with GABHS is common, and patients should be treated for both. Treatment of suspected diphtheria should begin empirically, because delays may result in unnecessary comorbidities. A secure airway is the number one priority and elective intubation may be required. Administration of diphtheria antitoxin should be performed once an adequate airway is secured. The role of antibiotics in acute infection is debatable; they may serve solely to reduce the incidence of a carrier state. Antibiotics of choice include erythromycin and clindamycin. Alternatively, penicillin G, tetracycline, rifampin, and clindamycin may be used. The diphtheria vaccine has greatly decreased the incidence of this disease in developed countries. The vaccine is most commonly given as a triad, combining diphtheroid toxin, tetanus toxin, and pertussis, and it is ideally given in the first year of life. A booster is recommended every 10 years. Complications of diphtheria include myocarditis, motor neuritis, and acute renal failure. Diphtheria is discussed in greater detail in Chapter 11. Bordetella pertussis. B. pertussis is a Gram-negative coccobacillus that causes whooping cough. Whooping cough derives its name from the loud inspiratory sound made by infected persons. It is transmitted by direct mucosal contact or aerosolized particles. Clinically, it is divided into three stages. The catarrhal stage (7-14 days) symptoms are similar to any upper respiratory infection. The paroxysmal stage (two to four weeks) follows and is associated with the hallmark cough that is pathognomonic for this disease. The convalescent stage (one to two weeks) results in slow improvement of symptoms. B. pertussis produces an endotoxin as well as agglutinogens that necrose the oropharyngeal epithelium, resulting in mucosal slough and exudate formation. Treatment is supportive; antibiotics have limited use in treating this organism. Immunization has been effective in nearly eliminating this disease in developed countries, but it is still prevalent in lower socioeconomic classes and underdeveloped nations. Neisseria gonorrhea. N. gonorrhea is a Gram-negative diplococci bacterium. Symptoms associated with pharyngeal infection include sore throat, fever, dysphagia, and odynophagia. A sexual history suggestive of orogenital contact should lead a clinician to further investigation. This organism most typically causes a whitish-yellow exudate to form over the tonsils and usually spares the pharyngeal walls. Diagnosis is made by pharyngeal swab and Gram stain revealing Gram-negative, bean-shaped diplococci. Cultures are used to confirm suggestive smears. Treatment of N. gonorrhea consists of single-dose ceftriaxone with or without oral doxycycline. Concomitant treatment for Chlamydia trachomatis should be administered, because cultures are not as sensitive for this organism and coinfections are common (40-50%). Azithromycin is the first-line treatment for C. trachomatis. Doxycycline, ofloxacin, or erythromycin may be used alternatively. Please see Chapter 11 for a more detailed discussion of gonorrhea. Treponema pallidum. T. pallidum is the bacterial spirochete that causes syphilis. It is transmitted to the oropharynx by direct contact with mucosal surfaces, usually through orogenital sexual contact. Although presentation of acute syphilitic pharyngitis is rare, chronic pharyngitis in the presence of a suggestive sexual history should raise suspicion. Acute syphilitic pharyngitis is painless, and infected persons may progress to manifest symptoms of fever, sore throat, malaise, cervical adenopathy, and headache. Red maculopapular patches on the pharyngeal wall may be present and tonsil hypertrophy is common. A similar rash is seen on the palms and soles during secondary syphilis. Darkfield microscopy can be used to detect Treponema species and a Warthin-Starry stain can differentiate Treponema species. Rapid plasma reagin (RPR) is the most common serological screening test for syphilis. If the RPR is positive, fluorescent treponemal antibody absorption (FTA-ABS) or microhemagglutination assays for antibodies to T. pallidum (MHA-TP) should be performed for confirmation. Treatment consists of benzathine penicillin, tetracycline, or doxycycline. Syphilis is discussed in greater detail in Chapter 15. Fusobacterium necrophorum. F. necrophorum is an anaerobic Gram-negative bacillus. It is a small component of the normal oral flora. F. necrophorum is the etiological agent of Lemierre Syndrome (LS). LS is a rare complication of acute F. necrophorum pharyngitis and is characterized by thrombophlebitis of the internal jugular vein and the associated propagation of multiple septic emboli. Symptoms include fever, lymphadeno-pathy, neck pain, dysphagia, and swelling, which may persist after initial pharyngeal symptoms resolve. Diagnosis is made clinically and confirmed with a computed tomography (CT) scan with contrast showing thrombosis of the internal jugular vein. Septic emboli may involve the lungs, kidneys, spleen, visceral organs, or extremities, necessitating a full body CT scan with contrast for adequate assessment. Intravenous antibiotics are the treatment of choice. Historically, ligation of the internal jugular vein was advocated, but no clinical data supports this practice and it is rarely performed today. The use of anticoagulation is controversial. No controlled studies have identified supportive evidence for the use of heparin or other anticoagulation but several case reports and small studies have shown a benefit. Mycobacterium. Mycobacterium is a Gram-negative acid-fast staining bacillus. Several species of this bacterium exist. The most familiar pathogen is Mycobacterium tuberculosis. Other species include Mycobacterium avium, Mycobacterium intracellulare, Mycobacterium kansasii, and Mycobacterium scrofulaceum. Mycobacterium species commonly infect the lungs, but pharyngeal involvement secondary to pulmonary expectorant exposure is possible. Clinically, the tonsils and pharynx may appear erythematous and mucosal surfaces may be ulcerated. 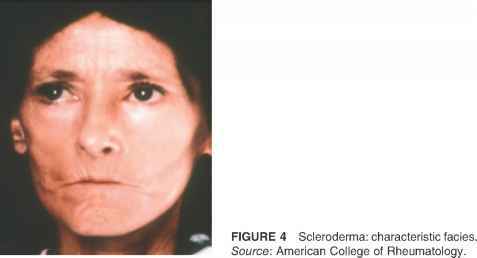 Cervical adenopathy may also be present, especially in cases where M. scrofulaceum is the infecting organism. Scrofula is an old-fashioned term used to describe neck manifestations of tuberculosis (TB). Laryngeal involvement may also be present. Diagnosis is made by performing acid-fast smears of sputum or tissues suspected of involvement. Cultures are often difficult to obtain and may take weeks to grow. Treatment of TB should be tailored to accommodate the specific antibiotic resistance profile. Isoniazid and rifampin used in combination is the first-line treatment option. Many physicians advocate triple therapy and may add ethambutol, streptomycin, or pyrazinamide. Treatment should be continued for 9 to 12 months and patients should be followed up with yearly chest X rays to monitor disease progression. A vaccine, Bacille Calmette-Guerin (BCG), is offered in many European countries but is not available in the United States. Its clinical usefulness is debatable since vaccinated persons can no longer use PPD skin testing to monitor for new or active TB infection. Mycobacterial diseases are discussed in more detail in Chapter 12. Other Bacteria. Many other species of bacteria play a minor role in the incidence of infectious pharyngitis. Some additional pathogens include Yersinia enterocolitica, Mycoplasma pneumoniae, Francisella tularensis, and Chlamydia pneumoniae. These entities are rare, self-limiting, and typically responsive to broad-spectrum antibiotics. 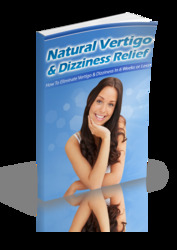 Are you sick of feeling like the whole world Is spinning out of control. Do You Feel Weak Helpless Nauseous? Are You Scared to Move More Than a Few Inches From The Safety of Your Bed! Then you really need to read this page. You see, I know exactly what you are going through right now, believe me, I understand because I have been there & experienced vertigo at it's worst!